The web has allowed us to quickly point people to a piece of information, news article, website or profile through the use of hyperlinks. 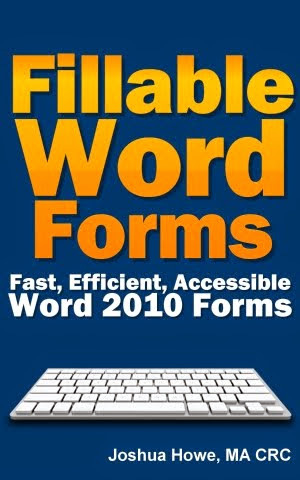 Word documents which are intended foremost to be printed, but also distributed electronically, links can pose accessibility problems because in print you'd want links to look one way and electronically another. However there is a way to meet both needs. On the web, you hide where the link goes behind the text which tells you what the link is. For example, instead of putting in the full web address of a site such as http://boingboing.net/, you'd tell the reader where the link goes such as Boing Boing. When someone visits a website, we know that people are viewing it electronically and there's no assumption that it'll be printed so there's no reason to display links outright. If someone wants to follow the link, they click it. The intent of this Success Criterion is to help users understand the purpose of each link so they can decide whether they want to follow the link. 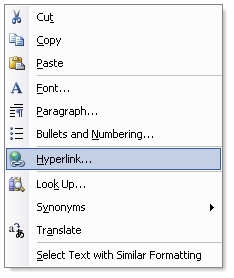 Whenever possible, provide link text that identifies the purpose of the link without needing additional context. Assistive technology has the ability to provide users with a list of links that are on the Web page. Link text that is as meaningful as possible will aid users who want to choose from this list of links. Meaningful link text also helps those who wish to tab from link to link. In a nutshell, when a user is using a screen reader, which converts text to speech, they can move from link to link in a document or on a webpage. When these user do this, they are presented with a meaningful list of link locations rather an the full url or web address of the links. It means that individuals who use screen readers to read the document electronically get the benefit of having meaningful information read to them, and those who print the document get the benefit of seeing what the target of the link it, the actual web address or url. 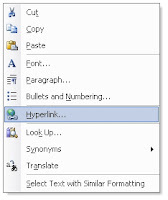 If you wish, you can make it visually appear like the rest of the text in the document by changing the styling of hyperlinks so that they don't appear blue and underlined which can sometimes interfere with reading web addresses in print documents (especially if they have underscores "_" in them). Again, this applies only to documents such as Word documents, Adobe Pdf documents, and PowerPoint. This strategy should not be applied on webpages themselves where only the meaingful text should be displayed. It's a small example of how a simple fix can make the document more accessible and more usable to all of your users. This is the first part in a series discussing the accessibility issues of electronic documents originally prepared for print audiences.